From BCR ... "Mature, spidery, caulescent rosette to12 cm high and 15 cm in diameterr. Long, straight , rather stiff ,channeled foliage. The outer leaves are strongly recurved, nearly bent at the base. The inner leaves are erect and velvety, silvery-grey scaled. 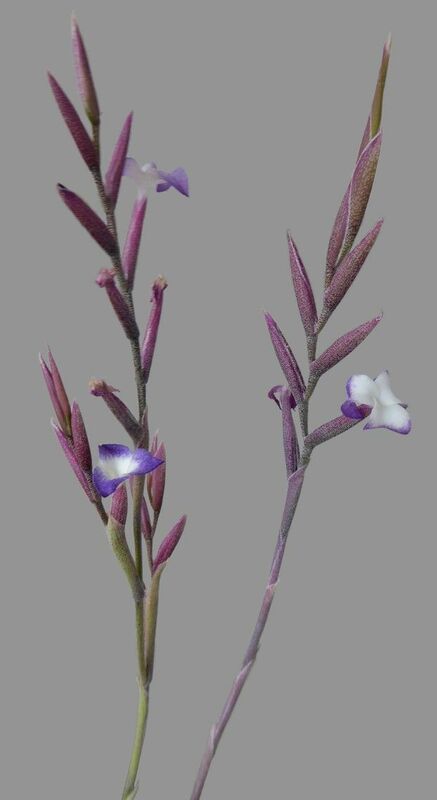 The long thin inflorescence (up to 30 cm) could be branched and has laxly, distichous arranged flowers each of which are dark blue with a white eye (1.5 cm). Reg. Doc. 7/2016 by Tanja Richter. 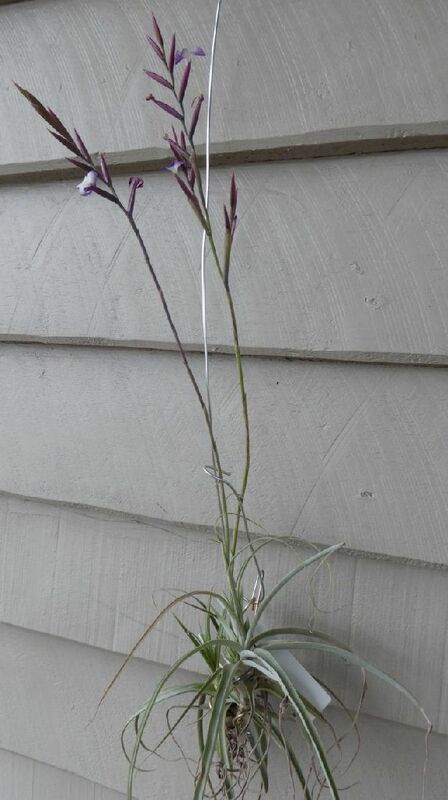 Country of origin: Germany"
Bruce Dunstan ... "First flowering for me. I'm a sucker for T. straminea and also find T. caerulea to be very easy to grow in my conditions. This one was originally from Lotte via Peter Tristram. I look forward to flowering the other couple of forms of this combination I have in time."